created by local artist, Rick Lawler. We look forward to bringing you another unique image of the Reserve next year. 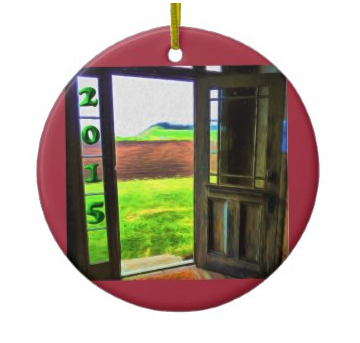 The image depicts the open door of the Ferry House - looking out towards Ebey's Landing. Big thanks to the Pacific NorthWest Art School for their partnership.